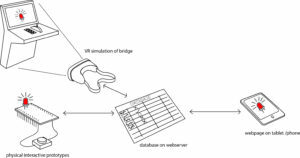 As previously mentioned, in order to test the Sedna concept, a VR/AR platform that was able to utilise HTML documents was needed. Intro to OICL and to the SEDNA and Openbridge projects. Author Nick StevensPosted on November 6, 2017 November 30, 2017 Categories Nick, sednaTags OICL, Openbridge, SEDNALeave a comment on Intro to OICL and to the SEDNA and Openbridge projects.